Make the most of your stay in Florence with a comprehensive package that combines a guided walking tour of city highlights—including skip-the-line admission to see Michelangelo’s ‘David’ at the Accademia Gallery. 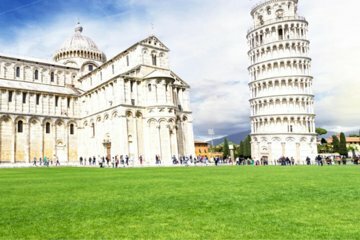 Then follow up with a full-day Tuscan excursion to San Gimignano, Siena, and a Chianti winery, plus a half-day tour of Pisa with a winery tour and tasting. Lunch and hotel transport included. Bellissimo!